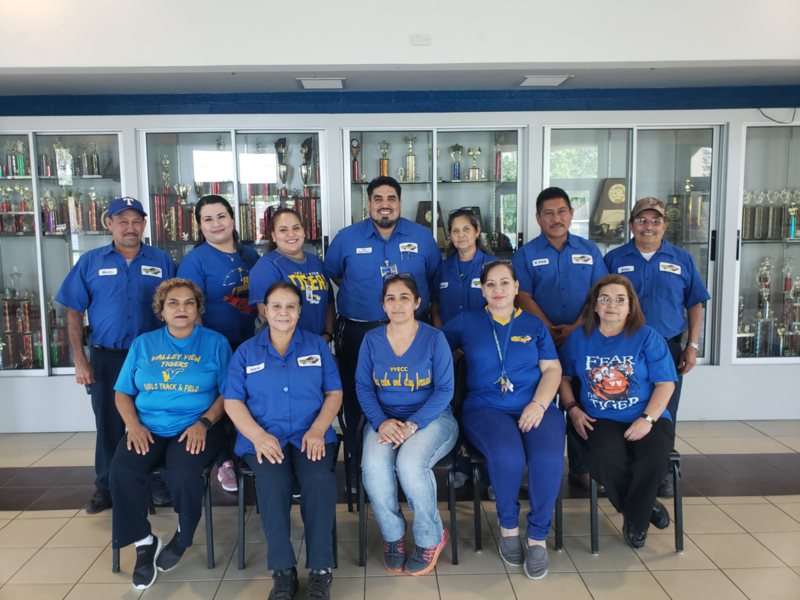 This week's Tiger Spotlight shines bright over our high school custodial staff team made up of Mario Martinez, Moises Araujo, Lizette Chairez, Teresa Cruz, Alma Encomienda, Roldan Garcia, Mary Guerra, Astrid Lopez, Dolores Palacios, Esmeralda Sosa, Teresa Prieto, and Martin Prieto. 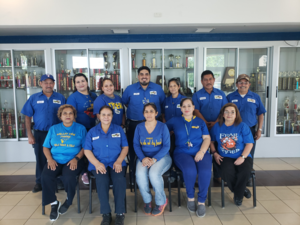 Our exceptional custodians are always ready and willing to assist with the needs of our campus and the needs of our district. The high school facilities are utilized constantly with hosting many different types of events and making logistical accommodations for all activities taking place on a daily, weekly and weekend basis. Our custodians perform these duties with no remorse or judgment for the amount of physical labor required to accomplish their assigned task at hand. On top of this, they still complete their daily cleaning assignments for all of our high school facilities. We are extremely proud of them and greatly appreciate everything they do for our school, district, and community. Thank you for being an essential component of our daily high school operations. Keep up the great work!